Too often, one assumes that perfect blending of colors, well-crafted skill in acrylic painting, or the ability to draw a realistic figure is creativity. While these are important in executing an artwork, creativity is not the knowledge of how to paint or draw, but the aptitude to think, explore, create and visually communicate a story, idea and emotion. The secret to effective art and design is good visual communication skill. How do you develop this? Building ideas through drawing, quality instruction, progressive study of art fundamentals, and exploration beyond conventional rules. At KIT101, you’ll go deep into art, design and creativity by breaking free from limiting perceptions. We offer calisthenics for your hands and mind to help you create a fresh way of thinking and execution of ideas (i.e. mark making) allowing students of different ages and abilities to explore creative possibilities. 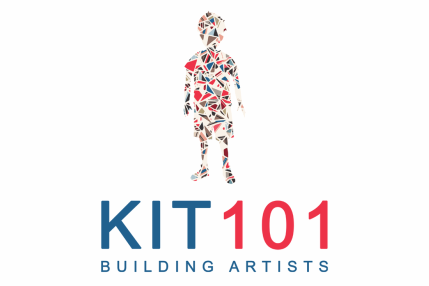 ​KIT101 Art is a fresh, modern approach to teaching traditional art and techniques. We develop your visual communication skill by teaching you art fundamentals in a progressive manner that encourages individual expression.